A single grain of sand contains about 2.3 x 10^19 silicon dioxide molecules. That may seem like a lot, but that sand grain contains even more atoms than molecules, since each silicon dioxide molecule is made up of three atoms. Relationships exist between atoms, ions, molecules and compounds, but these entities also have significant differences. Atoms are incredibly tiny particles that make up everything. If you could peek inside one, you'd see one or more tiny electrons orbiting a nucleus, the central location where larger protons and neutrons reside. Protons have positive charges, electrons have negative charges and neutrons are electrically neutral. Atoms themselves are electrically neutral when they contain the same number of electrons and protons. Each proton and neutron in an atom consists of three smaller particles called quarks. An ion differs from a regular atom because it contains an unequal number of electrons and protons. If an atom loses electrons, it acquires a positive charge. Gaining electrons creates a negatively charged atom. An ion has reactivity and chemical properties that differ from a neutral atom. A spectacular display of ionic activity occurs when the sun's ultraviolet light hits gas molecules in a comet's coma creating an ion tail. Larger than an atom, a molecule is a group of bonded atoms. Atoms can combine in various ways to form molecules and compounds. An element, such as gold, is composed of molecules of only one type of atom, while compounds have different types of atoms. You can tell how many atoms of each kind exist in a molecule or compound by looking at its chemical formula. Water, one of the most abundant compounds, consists of 2 hydrogen atoms and 1 oxygen atom. It's chemical formula is H2O. The 2 subscript after H, the elemental symbol for hydrogen, lets you know that water has 2 hydrogen atoms. If there is no number after an elemental symbol in a chemical formula, such as with the O in H2O, then it is understood to have only one atom in the molecule. That's why water's formula is H2O instead of H2O1. Over 13 million compounds exist even though scientists only know of 109 elements. This vast number of compounds is possible because elements combine in a variety of ways to produce compounds. An isotope is a form of an element that contains a different number of neutrons than the original element. Hydrogen for instance has only one proton. Isotopes of hydrogen, however, may contain zero, one or two neutrons. Because the ratio of neutrons to protons in an isotope is unbalanced, an isotope's nucleus often attempts to stabilize itself by altering the number of protons or neutrons that reside in the nucleus. When that happens, the nucleus generates ionizing radiation. HubbleSite Reference Desk: What are the Types of Comet Tails? Lee, Kevin. " The Difference Between Atoms, Ions, Molecules and Compounds." 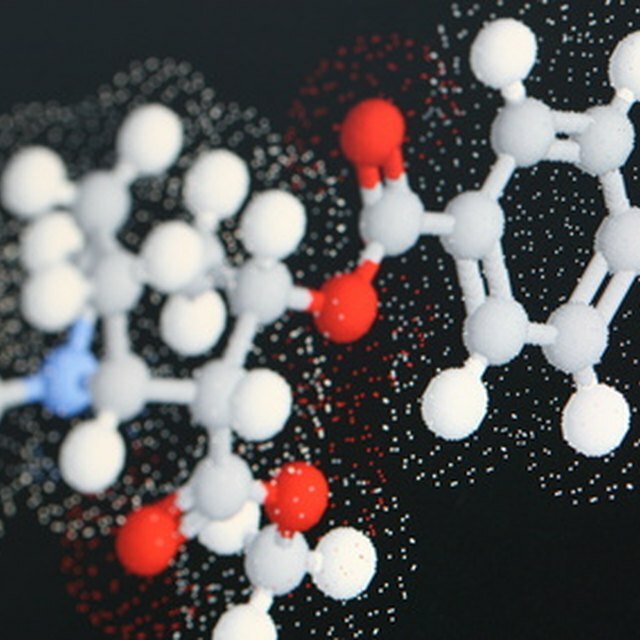 Sciencing, https://sciencing.com/difference-between-atoms-ions-molecules-compounds-12035074.html. 13 March 2018.